In case you were unaware, the Shanghai International Automobile Industry Exhibition, otherwise known as the Shanghai Auto Show, is a pretty big deal. An ongoing event since 1985, Shanghai is biennial in its frequency, taking place during odd-numbered years as a counterbalance to the Beijing Auto Show (a.k.a., Auto China) during even-numbered years. With the meteoric rise of international car brands in the Chinese market place, the Shanghai Auto Show has taken on greater and greater importance over the past few cycles, and all the big makes seem to be getting in on the action. And given the nation’s increasing emphasis on electric vehicles and hybrid technology, it should come as no surprise that those in attendance have responded with a slew of electrified concepts. Here are four of the best from this year’s show (plus a limited-run supercar, just because). Although crossovers and SUVs were a major theme for 2017, we made sure to include a few fast machines on the list to help even it out. Whether or not the sultry lines and high-tech promises that these design studies bring to the table actually make it to production remains to be seen, but for now, let’s dig into the good stuff from Shanghai. “E-Tron” is the name Audi applies to any and all products using a battery-assisted or battery-driven powertrain, be they current production cars or potential future vehicles. 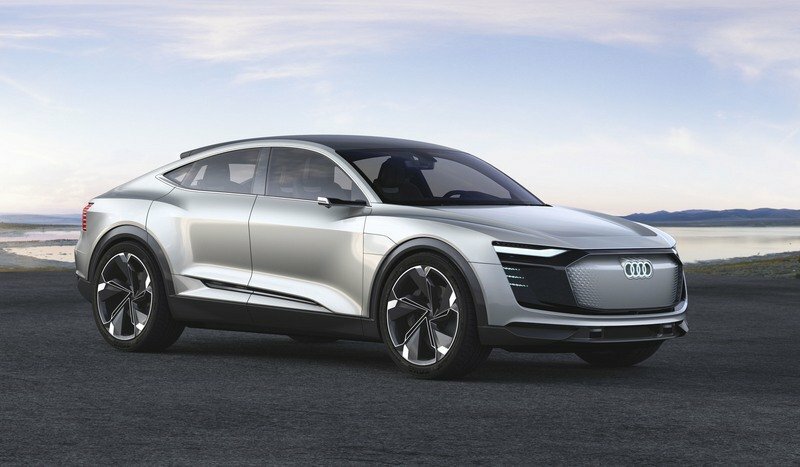 The E-Tron Sportback Concept is the latest example of this, arriving in Shanghai with a unique, stylish, and highly angular exterior style complemented by hundreds of LEDs. Those diodes are in place to offer “animated movements and signatures” that add a bit of drama and flair when appropriate, such as a welcome sign that appears when the doors are opened. What’s more, the E-Tron Sportback Concept is also equipped with an all-electric powerplant with three electric motors and 430 horsepower. Hit “boost mode,” and you’ll see 500 horses total, giving this large four-door SUV enough juice to hit 62 mph in just 4.5 seconds. Look for a production variant to arrive sometime in the next two years. At this point, with EVs toppling Pikes Peak and running head-to-head with ICE-powered dragsters in the 1320 (is there a better video for this? ), it should come as no surprise that in addition to the SUVs and commuters, Shanghai introduced a few electron-motivated performance vehicles as well. We like this one – the Nio EP9. 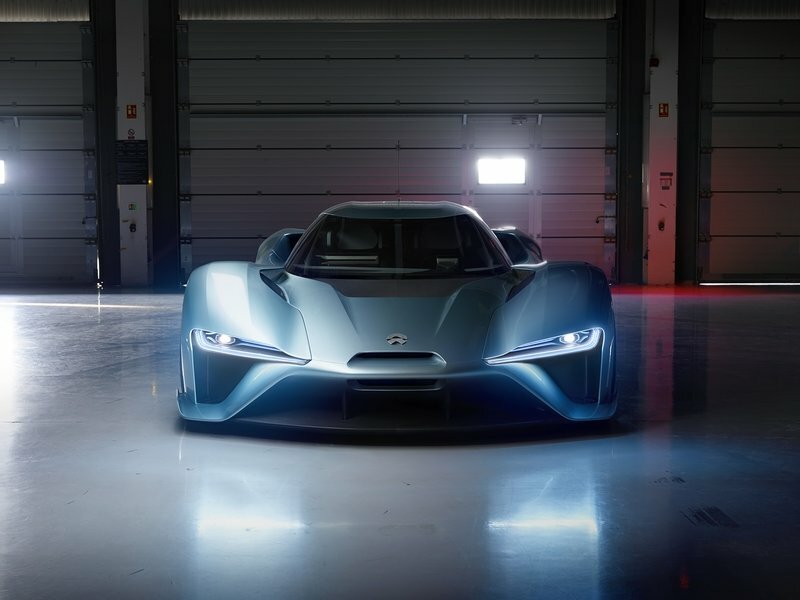 Pieced together by the Chinese automaker NextEV, the Nio EP9 lays down a full megawatt of power (1,360 horsepower, to be exact) via four electric motors and a whole lot of batteries. The whole thing is relatively light too, made mostly of carbon fiber. Incredibly, all that fancy aero means it’ll stick like crazy, pulling as much as 3 G’s in the corners. It’s also reportedly posted a 7 minute 5 second lap time at the Nurburgring, and can go 265 miles between charge-ups. Pricing is set at about $1.5 million per unit. ‘Member MG? We ‘member MG. The English automaker is best known making fun two-seater sports cars, usually with no roof and a relatively affordable price tag. Sounds like quite the enthusiast’s company, right? 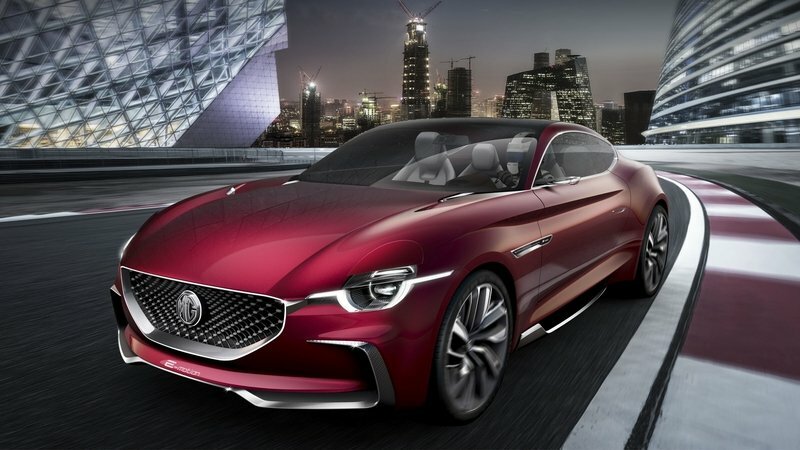 Thing is, MG has seen its fair share of ups and downs, but luckily, this latest concept looks like a definite upswing. Not only is it gorgeous to look at, with a classic coupe shape and high-tech cabin space, but its also quick, rocking an all-electric powertrain with enough grunt to hit 62 mph in less than four seconds. Now we just gotta cross our fingers and hope MG goes ahead and builds the dang thing. 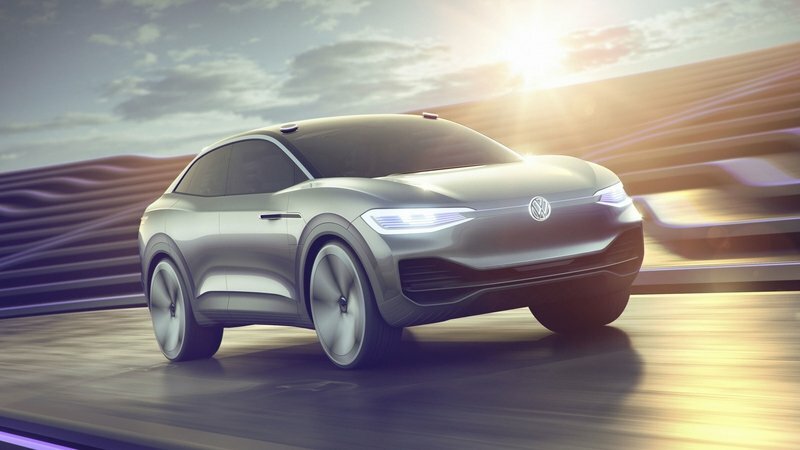 Volkswagen is ready to move forward from that whole dieselgate debacle, which means a future lineup filled to the brim with snazzy green machines like this – the I.D. Crozz crossover. Never mind the Muppet-like naming convention… we think it looks great, with flowing lines and clean body panels that deserve a second look. The interior is equally clean, and since it’s capable of autonomous operation, passengers have the opportunity to kick back while onboard systems handle the A-to-B. With about 300 horsepower produced at all four wheels thanks to two individual electric motors, the Cross isn’t exactly quick, but that’s okay – if it were, we’d be the ones wanting a stint behind the wheel, not some algorithm chauffeur. 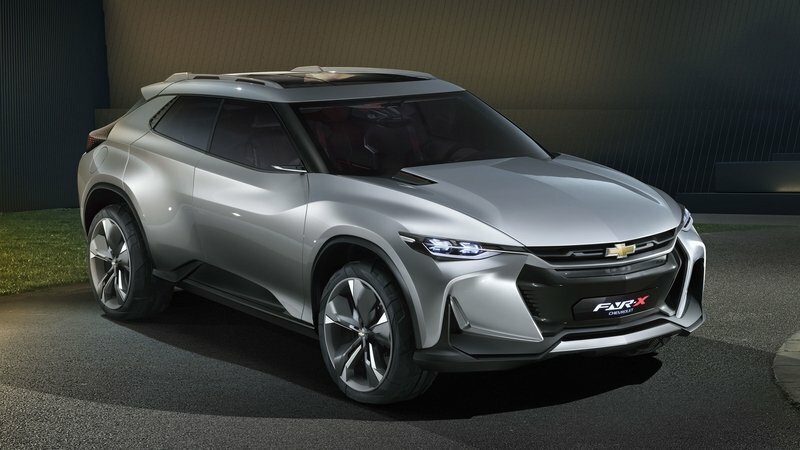 Finally breaking free of the usual hum-drum designs, Chevy is offering up this exciting plug-in hybrid at Shanghai. Let’s start with the styling, which is a mix of crossover coupe profile and deep front fascia creases, plus dynamic LED lighting. The interior gets a whopping eight touchscreens, a large heads-up display, and even more innovative design cues. Just put it in the appropriate drive mode, and the onboard systems take care of the rest, either dialing in more power or efficiency under the hood, while also setting the suspension up for greater handling or improved comfort. It’ll even go off-roading, if needed.